Welcome to the Amore's Koi Farm Web site. We are located in Coshocton, Ohio. Our goal is to provide you with useful information about our company that we hope will make it easier for you to do business with us. 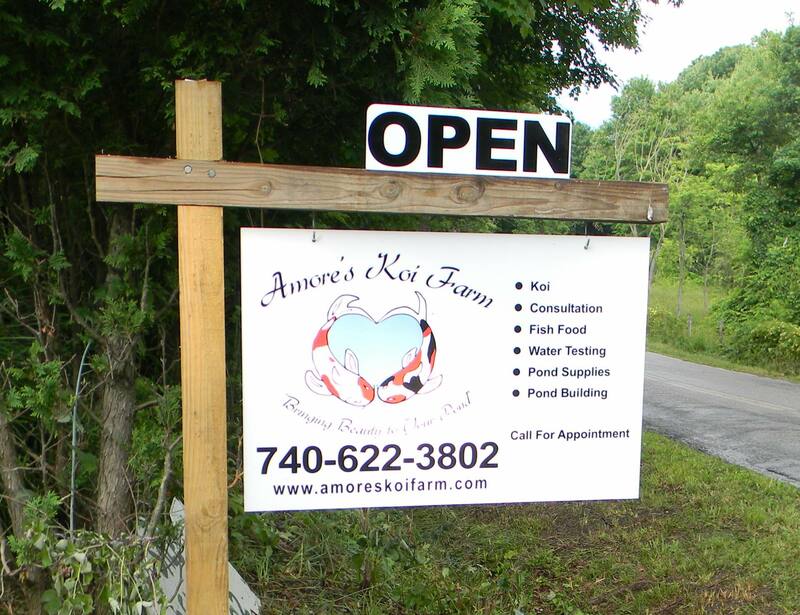 Amore's Koi Farm has been serving the Koi hobbyist since 2007. We specialize in providing quality domestic koi and helping pond owners or future pond owners to have the pond of their dreams. We have helped many pond owners to have a healthy pond and we can help you. 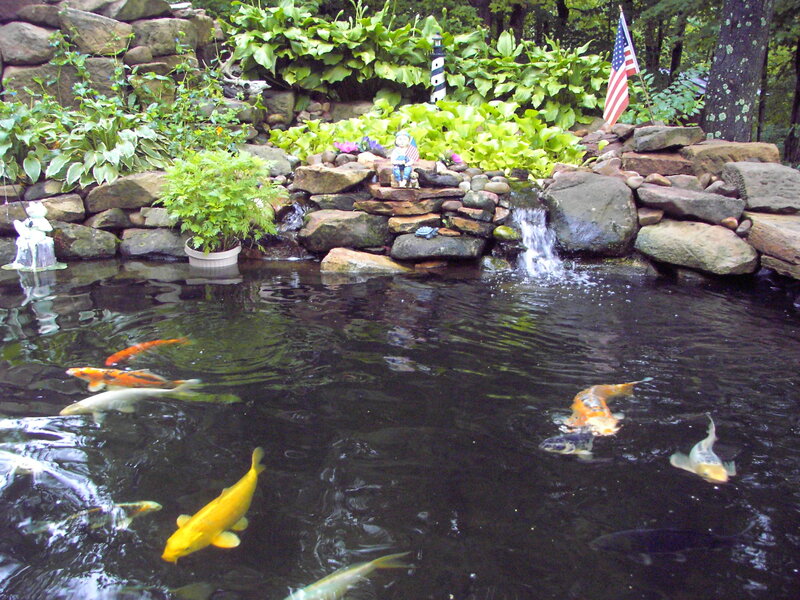 At this site, you will discover what we have to offer and how we can help you enjoy a wonderful koi pond. We carry a full line of products to help you build your koi pond. We carry trusted names such as, Firestone pond liner, Microbe-lift by Ecological, Oase, Atlantic, Evolution and more, and don’t forget the koi. 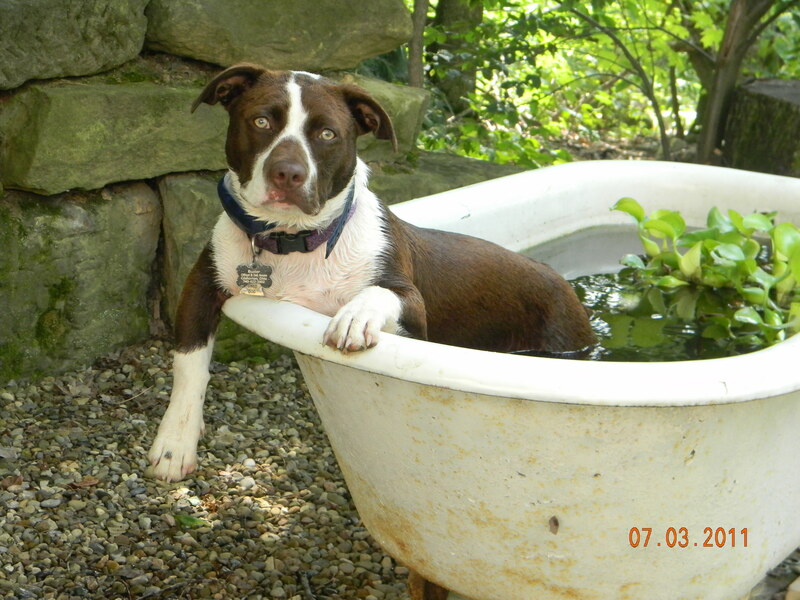 The new foreman on the farm, cooling off. Some of our beautiful koi in our private pond. For more information please contact us either via E-mail at amoreskoifarm@gmail.com You may also call us at 740-622-3802. We look forward to serving you.